Saint Ignatius Offensive Coordinator/QB Coach Nick Restifo is a walking encyclopedia of offensive football. With Coach Restifo guiding the offense St. Ignatius has won 11 state championships and two USA Today national championships. 15 Wildcat quarterbacks have earned All-Ohio honors during his tenure, and four of his quarterbacks went on to play in the NFL. We are excited to have Coach Restifo guest host the #Edgefbchat on June 4th at 8pm CST/9pm EST. 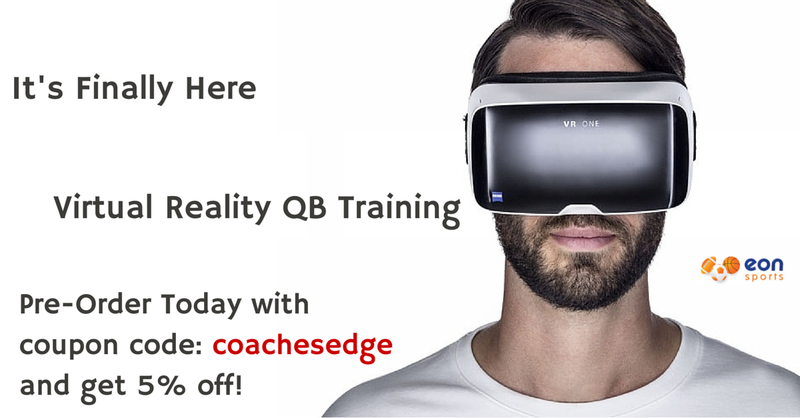 CLEVELAND, OH – Today, Coaches Edge Technologies and #Edgefbchat announced an advertising partnership with GoRout. GoRout is a wearable display technology solution that simplifies on-field communication for players and coaches during practice. The long term agreement has secured placement as the company’s official twitter chat sponsor. GoRout’s wearable display technology, gives coaches the most effective way to communicate with players on the field in real-time during practice. With their digital whiteboard scripting, coaches can instantly make adjustments to plays, organize scout team looks, and send in pin point coaching notes to all 22 players instantly with a single push of a button. Each wearable display unit is military-grade and comes shockproof, dust-proof, and water resistant. Each unit is also focused on an individual position, so every player can see their specific play responsibility, notes, and keys. GoRout’s system is also completely compatible with many existing playbook technologies. 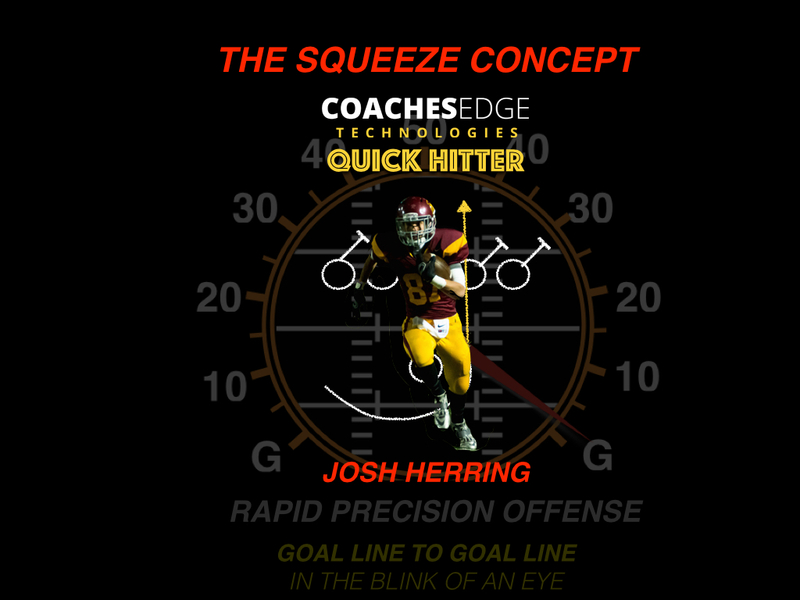 “We are very excited to be partnered with Coaches Edge Technologies and the #Edgefbchat. We both share a deep commitment to player and coach education, and as a company, we want to be partnered with organizations that share that same value structure. We are fiercely focused on helping both players and coaches communicate, teach, and most importantly, execute in a fast, effective manor. Our wearable display’s help teams increase production by more than 25% at practice while reducing wasted activities like play card creation and huddling. We’re now providing coaches with a level of flexibility they’ve never had at practice, and our technology now allows coaches to start coaching their 21st century players with 21st century tools on the field.”-Mike Rolih, Founder-GoRout, Rochester – MN. GoRout is a sports innovation company that designs software and military-grade hardware products to help high school, college, and professional football teams practice perfect. GoRout is incubated at the Mayo Clinic Business Accelerator in Rochester, Minnesota. Learn more at www.gorout.com, and follow them on Twitter @Go_Rout. We are excited to have @coachhallett Coach Hallet guest host the #Edgefbchat on May 28th from 8pm-9pm CST. Over the past 4 years Coach Hallett has had one of the most consistent, top producing offenses in the country. 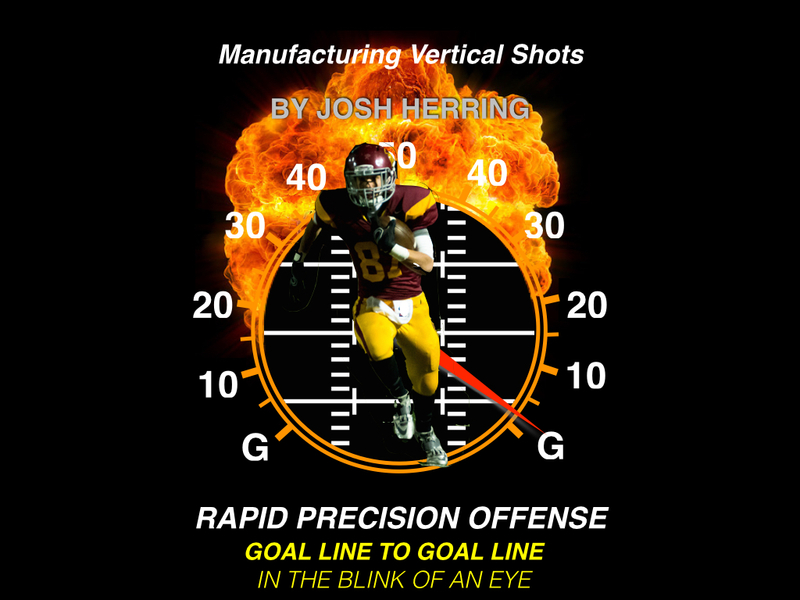 Over the past four seasons Heidelberg really moves the ball, totaling nearly 11.5 miles of offense. Over that span they have averaged 492.3 yards of offense per game including averaging 532.5 yards per game in 2014. Coach Hallet will answer questions on the keys to the Heidelberg offense. I know Coach Hallett personally as well as having faced him as an opponent. He is a great football mind and coach. He has excelled in turning Heidelberg into one of the top teams in one of the toughest conferences in Division III. He is a coach whose mind you will definitely want to pick on the #Edgefbchat. “Show, don’t tell” is a basic method of writing taught in language arts classes. The idea is that the writer creates a picture in the reader’s mind. Coaches should operate the exact same way. The quarterback position grabs the spotlight when it comes to virtual reality training in football. The fact of the matter is that every position can benefit from this technology. I would venture to bet that if you set up a “brain training lab” with a VR simulator, you would be able to fill the schedule with players ready to learn and practice in virtual reality simulations. Football is a game of patterns of movement. While technically there’s a seemingly infinite number of possibilities, the number of patterns each position needs to develop visual acuity for is truly limited. For example, a middle linebacker is responsible for diagnosing the blocking scheme and either fitting the run or getting into his pass drop. Taking a typical running attack, the linebacker would need to recognize and fit power to, power away, counter to, counter away, inside zone to, inside zone away, lead to, lead away, sweep to and sweep away, pass protection, and of course any play action off of those runs. On plays diagnosed as pass, the linebacker might need to drop to defend a seam, a drag, a spot, and a shallow route. That’s still a lot on his plate as far as recognition, but it is a limited set of possibilities. Practice over the course of the week might allow him to see 8-10 live repetitions of each possibility. Over the course of the season there is certainly a cumulative effect on learning. How can the learning and visual recognition be accelerated? The answer lies in virtual reality simulation. Putting these plays into a VR simulator, the player can go through a weeks worth of practice reps in minutes. He can get all of his pre snap recognition work and calls or checks made as well as being able to see the play develop and see where he is supposed to fit or drop. No, he is not hitting or working block protection, but that’s not the point. He is training his brain to play faster so that the physical skills and fundamentals learned on the field can be performed at a fast pace on the field. To put it plainly, brain training enhances the players’ ability to play fast. Eon Sports VR has just released a VR quarterback trainer. However, they do have packages that allow the coach to create simulations for every position.